The Linksys WUSB6400M AC1200 MU-MIMO USB Wi-Fi Adapter is a dual-band wireless adapter that upgrades your Windows®-based laptop, MacBook®, or desktop computer to the latest Wi-Fi standard. 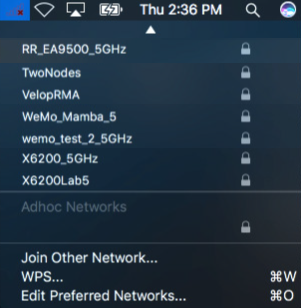 This article will help you manage your wireless network settings using the Linksys WUSB6400M Wireless Utility on a Mac® computer. NOTE: Windows-based computers use the Windows OS native wireless utility. For OS X® you must use the Linksys USB Utility to manage the Linksys WUSB6400M. Click the Wireless Utility icon on the menu bar. It will display the available networks. 1. Join Other Network – This option allows you to manually connect to another network. Click on the Show Networks button to see the available networks you want to join. 2. 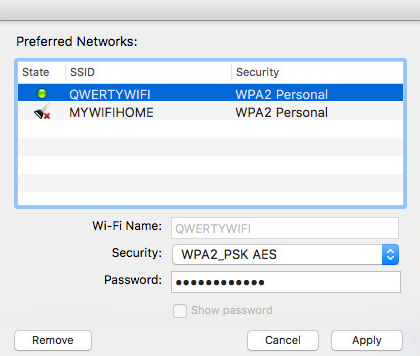 WPS – This option allows you to connect to your router or access point using the WPS feature. To know how to connect using the WPS, click here. 3. 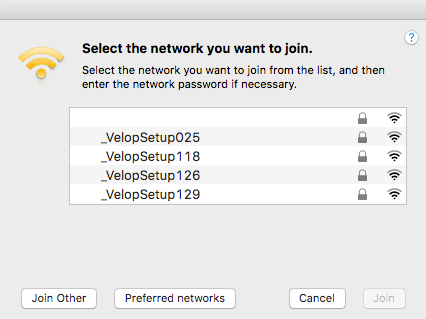 Edit Preferred Networks – This option is similar to the other options under Join Other Network. Clicking this option will take you directly to the available networks you want to join in. 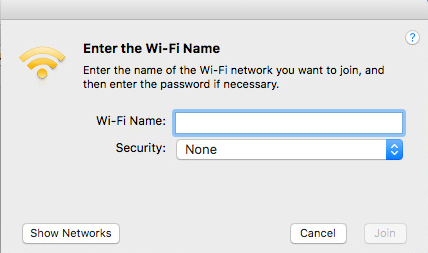 NOTE: You can also select your saved wireless profile to edit the Wi-Fi name or password or even remove the profile. NOTE: Due to a Mac OS limitation to support 3rd party wireless USB adapters, the Linksys WUSB6400M will be displayed as an Ethernet connection in Network Preferences. Therefore you will need to use the Wireless Utility of the Linksys WUSB6400M to manage the wireless settings. Green Wi-Fi icon – Connected with a good signal. Orange Wi-Fi icon – Connected with a low signal. Red Wi-Fi icon – Not connected to a wireless network. USB icon with a red x – Linksys WUSB6400M is not plugged in. Make sure your adapter is connected to a USB port. This can also mean that the wireless USB adapter is turned OFF, to resolve this, click on the icon and if you have the option to turn ON the device, click on it.